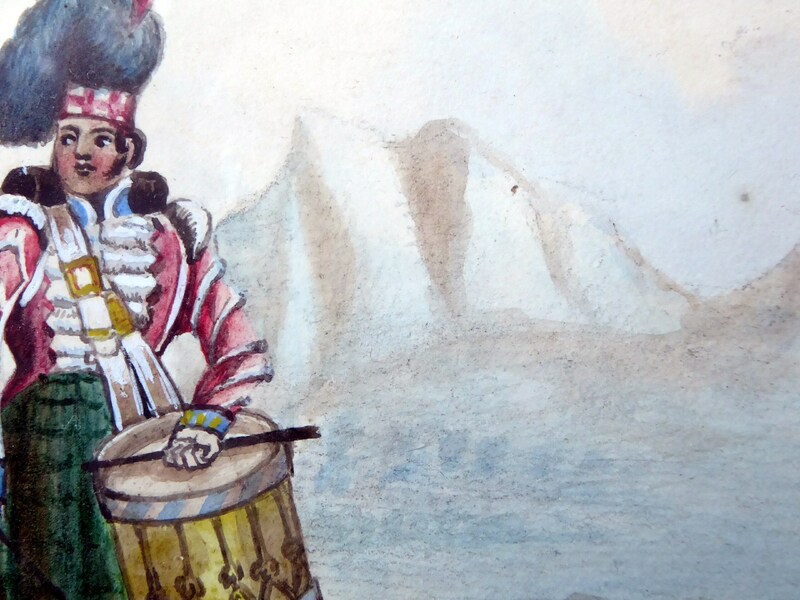 This is a very charming little original watercolour dating to the early 19th century. 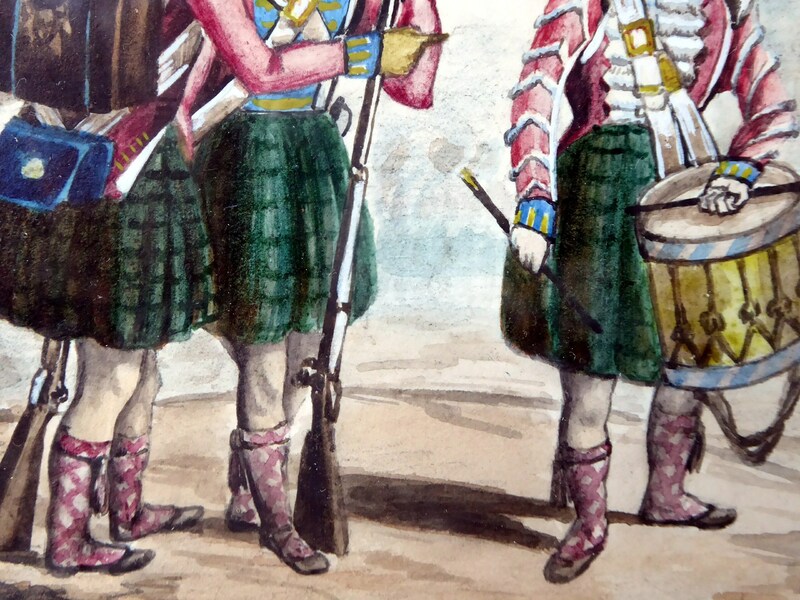 I note the red heckle in their bonnets and think that this is possibly a study of three soldiers in the Black Watch Regiment. I haven't been able to nail down the location - but I am thinking that it is probably a scene in India or Afghanistan - given the high rocky mountain peaks to the right-hand side. 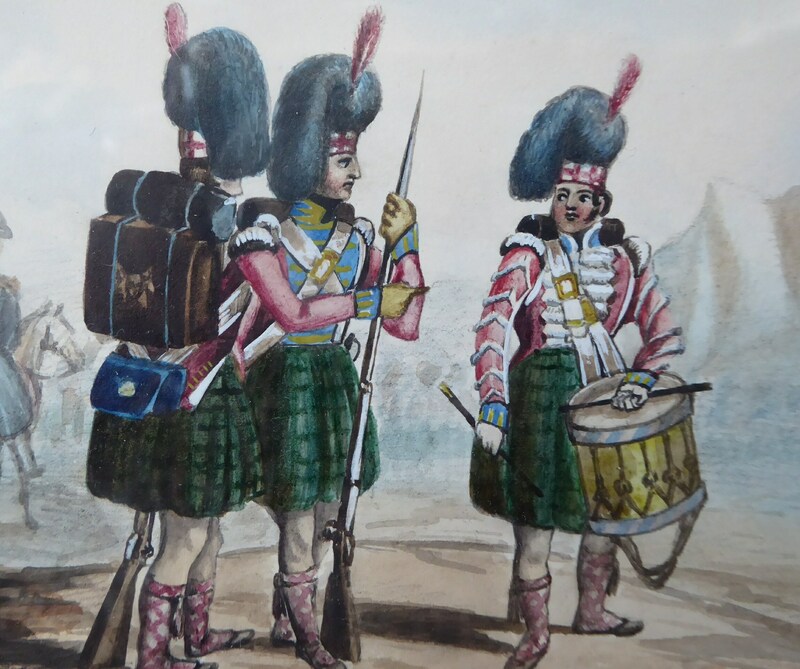 These early images of Scottish regiments on the field jotted down on the spot are pretty rare items - and highly collectable - especially ones which are quite so attractive as this - wouldn't this make a pretty postcard for sale in the Black Watch Museum? 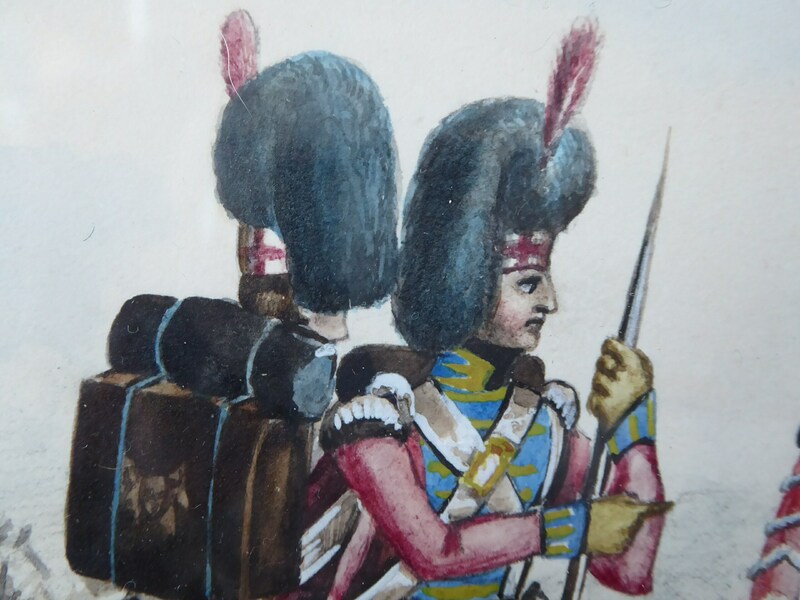 Sadly - I am not a military historian so the identification of the regiment is rather conjectural and based on a more limited knowledge - I am sure someone will know what history of this charming study. 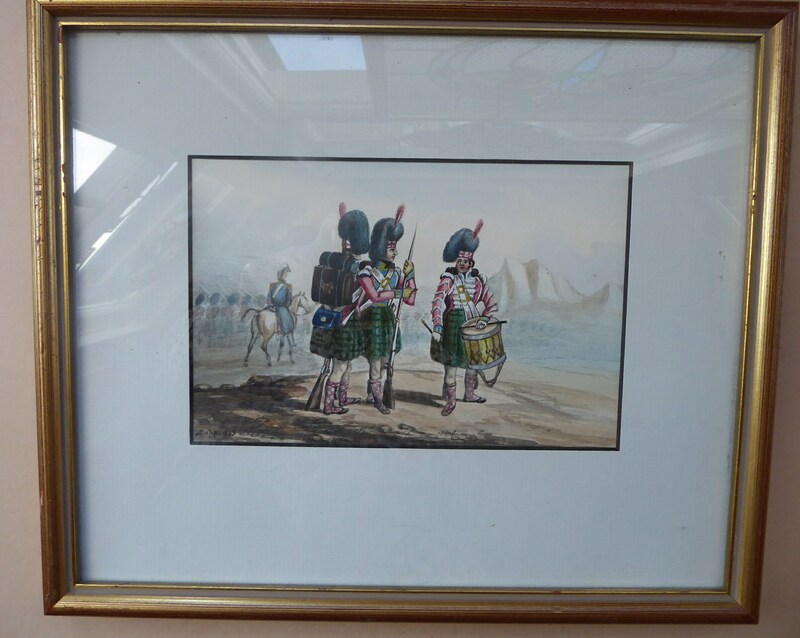 It is certainly quite a rare image of interest to collector's of Scottish military history and has lots of charm as an artwork. 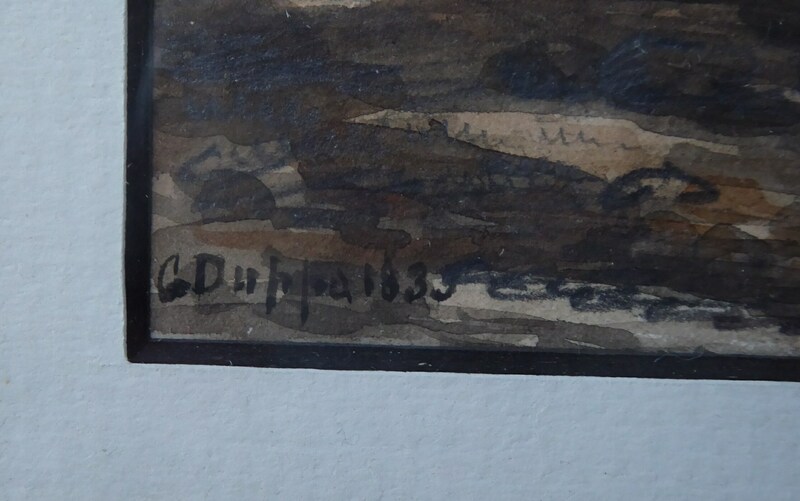 It is signed bottom right by the artist - I sadly can't quite make out the signature but it looks like the surname starts: Dupp.... 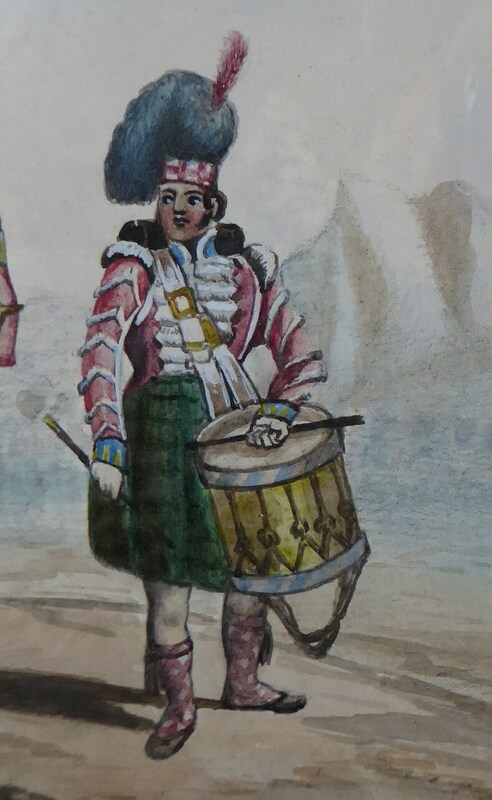 It is also dated 1833 or 1838 - in watercolour. 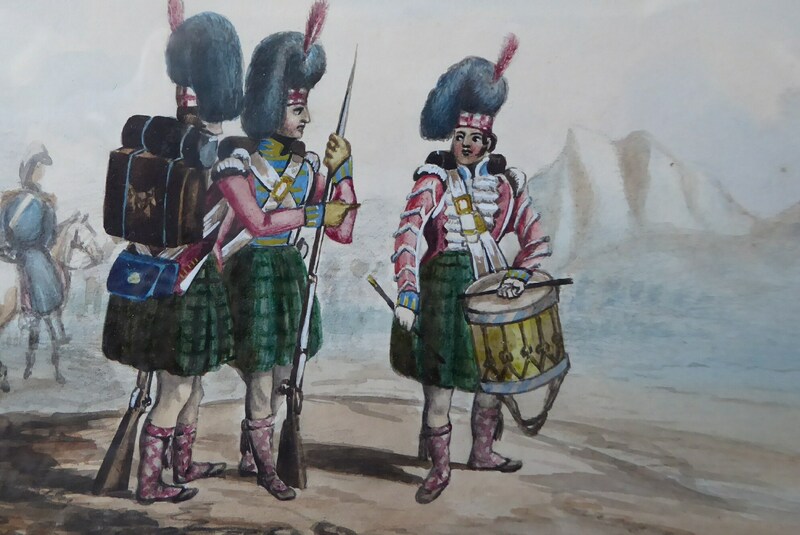 The little study was probably made on the spot by one of the officers in the Regiment and shows three soldiers getting ready to march out from camp. One is a drummer and is ready to lead out the parade - in the background is an officer in horseback - and more soldiers are seen disappearing into the hazy distance. The scene is pre-Victorian in date. 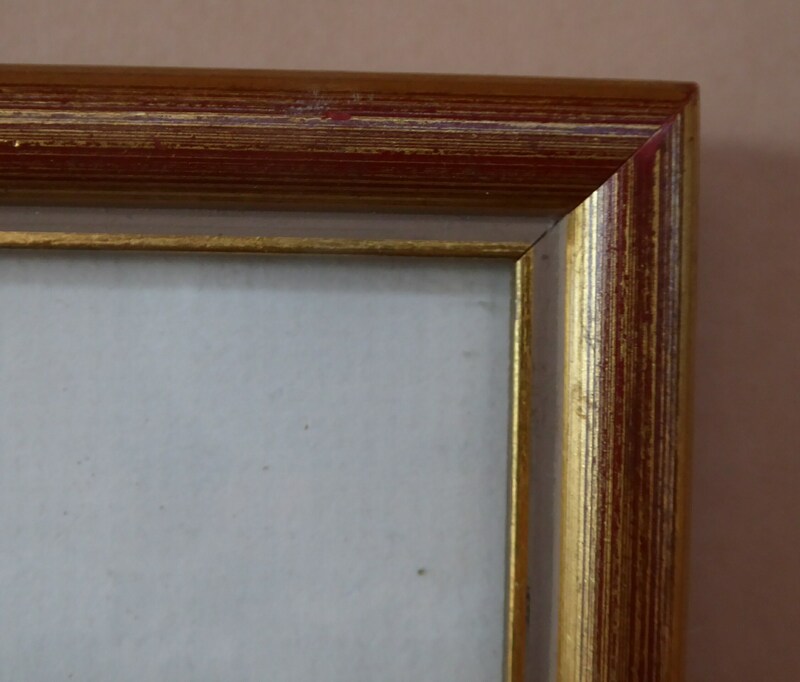 The work is in a simple gold frame - this measures 24.5 x 29 cm. 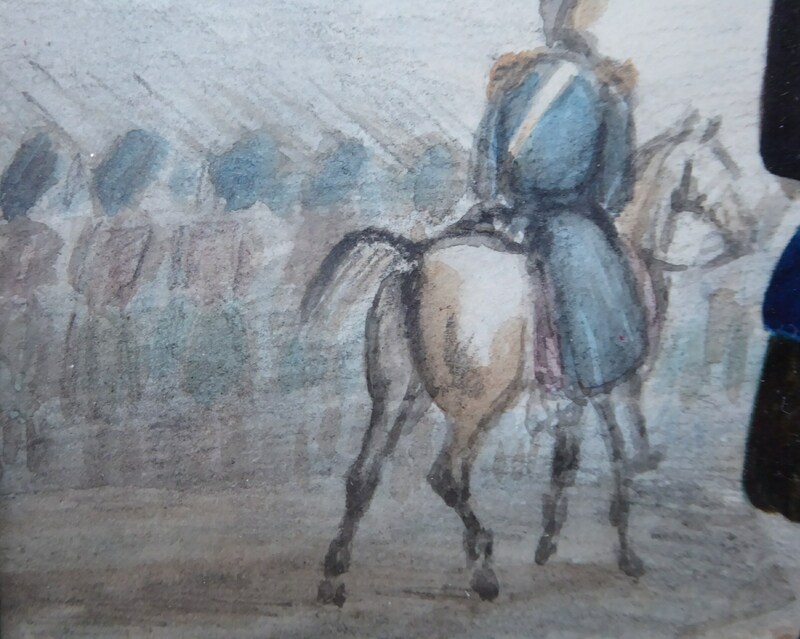 The image is 11 x 17 cm. So a wee jewel. Unpacked the little watercolour painting is 600 grams in weight - so I can send internationally.